The region of Asturias has much to endear it, but at the top of the list must be its consuming scenic and beautiful character. Asturias is green Spain at its most unspoilt and it has already become popular with hikers and cyclists who escape the busy roads and paths to enjoy this province. Although Asturias' climate is seasonal, it still makes for an excellent beach destination with many sparsely used and naturally appealing beaches. 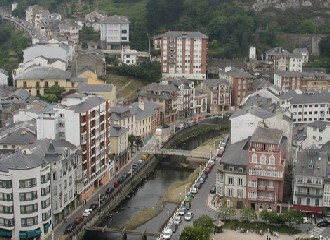 The most popular are in the areas around Llanes and include Torimbia and Barro. Other beaches are Silencio and Ballota. The craggy coastline of the area offers both sea facing and more sheltered stretches of sand although access to some of the less popular resorts may require a reasonable walk. Away from the beaches, visitor options include calling in at the major cities as well as Asturias' multitude of towns and villages and of course taking in the mountainous views. The capital city of Oviedo was founded in 761ad by a monastic order and has a castle, numerous churches and a famous ninth century hall which many declare to be a prime example of Asturian architecture. 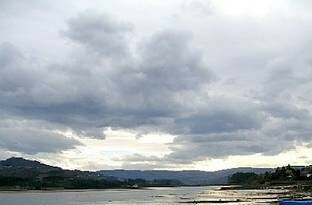 It also has one of the many pilgrim routes to Santiago de Compostela. Other interesting buildings include the seventeenth century town hall, a church and fountain dating back to the ninth century and the museum that was formerly the monastery of San Vicente.